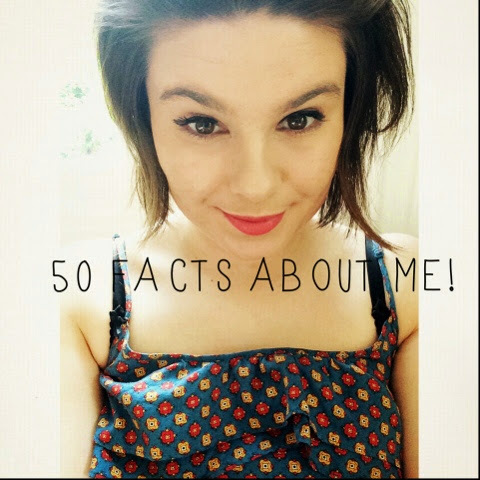 I thought I might do a '50 facts about me' post today as I thought it would be nice for the people that read my blog, would like to know a bit more about the girl behind the screen. 1) I am very small and my height is only 5ft. 2) I've never ever been to Nando's. 3) When I was a baby apparently when I wanted food I used to say 'E-BOC' - ahahahaha. 4) I would rather go pubbing than clubbing. 5) Favourite Colours are Orange and Dark/Pastel Pink and Pastel Green. 6) I LOVE Banoffe Pie and Lemon Drizzle Cake. 7) I used to have two rabbits and I named them Ben and Jerry. 8) I have a notebook where I write down all my blogging ideas. I always like to write lists and plan what I am going to write. 9) Favourite food is Chinese. 10) Sometimes I look at stuff to buy online, put it in the basket, but never actually buy them. 11) The first 'Grown up' film I ever watched was Titanic with my dad. 12) My Favourite films are The Holiday, Father of the Bride and Friends with Benefits. 13) I've never passed my driving test. 14) I failed my driving test twice and then gave up because I just didn't feel I could do it. 15) I can't stand messy people. I just love stuff to be tidy and organised. 16) I write with my right hand but eat with my left hand. 17) I'm studying Journalism at University and just done my first year. 18) I wear a lot of boots. 19) I love a good murder programme. I'm obsessed with them. CSI/NCIS/Miss Marple/Jonathan Creek/ ETC. 20) I can swim, when I was younger I had swimming lessons. 21) I love to read but I am really bad at finishing books. Always start them and take ages to finish them. 22) I am such a Tea snob. I only like PG Tips or Yorkshire Tea. 23) Favourite fruits are Pears and Raspberries. 25) I'm obsessed with anything Floral. 26) If I had to have children when I was older, I would love a boy and a girl. 28) I honestly don't care, I would rather be in a onesie than in a fancy going out outfit. 29) I feel the cold easily. 30) I own about 5 pairs of bed socks. 31) During the tour for the university I was looking at to go to, I fell down the stairs in front of everyone. 32) I always set my alarm earlier than when I have to get up just because I don't trust myself to wake up on time. 33) Favourite Cereal is Whetabix. 34) I am terrible with money. 35) My mum made me have such a short hair cut once, I looked like a boy. 36) My feet are size 4. 38) I have a fear of rejection. 39) I am really bad at texting back, I just read the text and mentally reply but not actually reply. 40) I've never smoked and I never will smoke EVER. 41) I HATE spicy food. 42) One of the best things I ever did was to start this blog. 43) I would love to be an Agony Aunt for a magazine. 44) Really want to learn how to play the Piano. 45) I really love mornings (I know weird). 46) When I was younger and It was near Halloween, I always used to come home from school and sit infront of the TV and watch the Halloween Movies on Disney Channel with a load of sweets in a Pumpkin Pot. 47) But I hate scary movies. 48) I get scared too easily and people make me jump to easily. 49) I don't really have a favourite type of music. But I don't like Drum and Bass. What's the point in it? 50) I've been to Peru and I got spat on by a Lama. 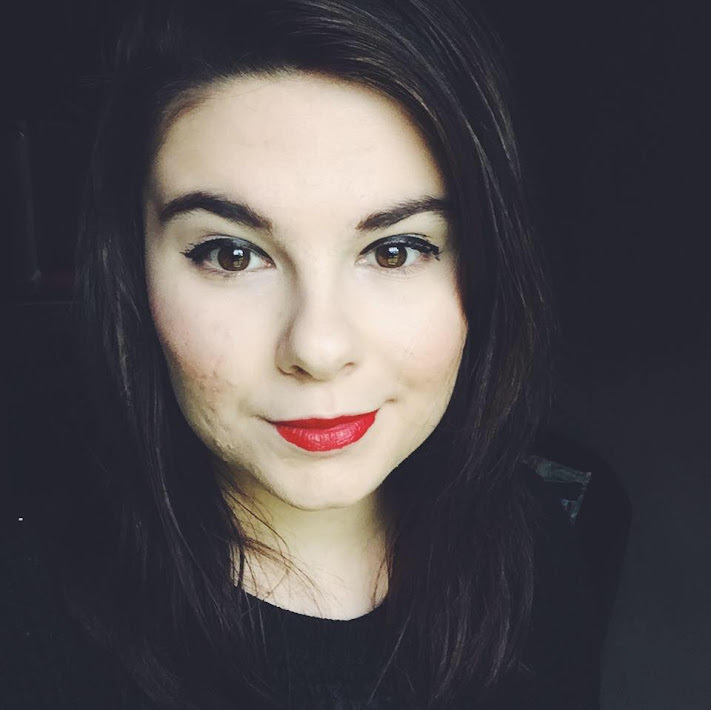 Hope you've enjoyed this blog post and you know a little bit more about me!